Cosco RR-500 is a unique type of recumbent exercise bike that works on a self generating electronics but requires no external power supply. This exercise bike have 20 levels of intensity and has the facility of 6 pre set programs and 2 custom programs. Know about your workout progress in its LED display and stay motivated. 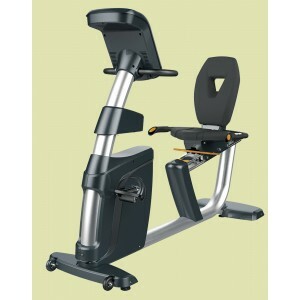 The latest cost of Cosco RR-500 Exercise Bike will be updated soon. *Note: Most of the sites, stores or shopping portals listed above sell Cosco RR-500 Exercise Bike with discounts and other exciting offers. There is a possibility that the some of above websites are not selling Cosco RR-500 Exercise Bike now. Toughtrain.com is not liable for such cases or instances. Also we do not recommend any seller for Cosco RR-500 Exercise Bike and a buyer should buy from where he/she gets best deal with quality of products, service and on time delivery (shipment).